When you own and operate a business, there are a ton of different obligations, appointments and responsibilities to manage. It can be tough to find time for all of that work. But unfortunately, you have no choice. That is where business calendar software comes in handy. Business calendars make it easier to stay on top of your workload, even during the busiest times of year. In fact, there are actually several methods you can use to get even more out of your business calendar tools. If you want to find out how to use business calendar software to maximize the efficiency of your entire operations, keep reading below. These five tips for using business calendar software are sure to be exactly what you are looking for. If you want to maximize efficiency, create a shared calendar. Make sure it is visible to all the employees you have working for you. When you create a shared calendar, it makes it easier to figure out the best times for certain tasks, events or meetings. In addition, it serves to improve and simplify communications among employees, supervisors and business owners. The better you communicate with your team, and the better they adapt and react to these communications, the more efficient your operation will be as a whole. Take the time to share your calendar with employees or to create a specific shared calendar within your business calendar software to experience these efficiency benefits. Set a routine schedule for yourself and your business. By establishing routines within your shared working environments, your business will be better able to function at maximum efficiency. When everyone knows what to expect, they are able to start tasks sooner and get them done quicker than they would otherwise. Employees from all different areas of operations will fall easily into the routine. They will waste less time, and therefore money, waiting for direction or to be assigned a task for the day. Using your business calendar solutions to put a routine in place for business is the best way you can improve operations at your company. With the best business calendar software, you can delegate calendar management to one of your workers. This is definitely something you should consider. Business owners’ availability and productivity can have a huge impact on the productivity and efficiency of operations as a whole. That is why it is so important to make the most of every single second you are at work. Entering appointments and scheduling daily work flows in your business calendar apps is not something you should be wasting your time on. Instead, delegate these data entry tasks to your assistant, secretary or intern using those helpful business calendar software features. This will help you ensure that you can keep employees on task and operations running at maximum efficiency. 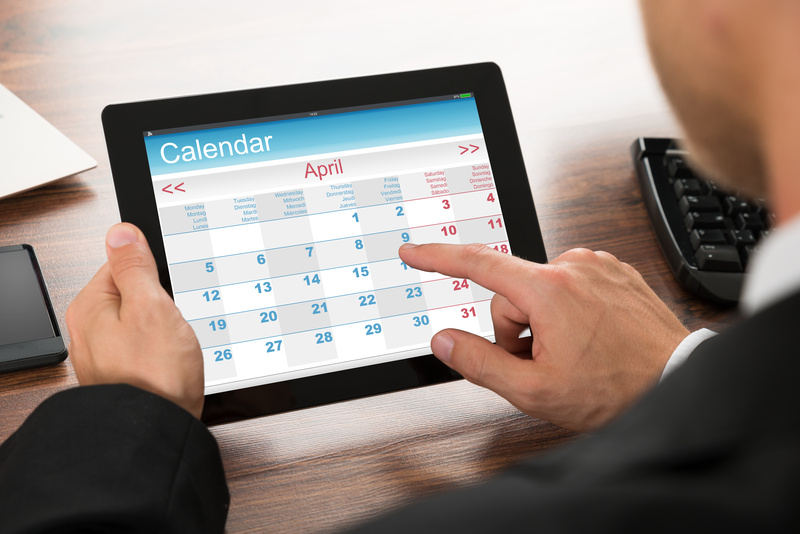 Color code your business calendars to increase operations efficiency. It will also help improve your personal efficiency too, especially if you use these same color-coding strategies with your document management systems. In order to make the most of your business calendar tools, you need to be able to read and understand them at a quick glance. Color coding operational activities helps you do just that. Create categories based on the daily business tasks that keep business running every single day. Then, use those same colors to highlight different parts of your schedule based on what you, or your employees, should be doing during those time slots. Be sure to inform employees of this color coding system as well. This way, all employees will be able to maximize their workday productivity and improve efficiency of the entire operation. All business calendar apps have reminder features included. Make use of them. By setting reminders, you eliminate that human error that can cause operations to stall, or worse yet, to come to a grinding halt. It also virtually guarantees that everything is getting done when it is scheduled to get done. That will help to ensure that your employees are helping to make the business run as efficiently as possible by staying on top of their own job responsibilities. Overall, business calendar reminder features just help make operations run smoother. You would be wise to use these scheduling tools to boost your own business’s operations efficiency. All businesses struggle to maximize efficiency. There are so many variables and moving parts to account for, it seems almost impossible. Thankfully however, there are business calendar software programs that can help you achieve the seemingly unachievable goal of maximum operations efficiency. These business calendar programs from both cloud providers and program subscription providers can help you get the most out of your workday and that of your employees’. Just use the business calendar management tips and tricks detailed above. These business calendar productivity hacks will make you and your employees as productive as possible. That will make your business as efficient as possible. So be sure to incorporate these business scheduling strategies into your work flow to improve operations outcomes as soon as possible.